All she wanted was to be a concert pianist. Eunice Kathleen Waymon, a piano prodigy from Tryon, N.C., applied for a scholarship at the Curtis Institute of Music in Philadelphia. She was rejected. Waymon knew that it was because she was black. 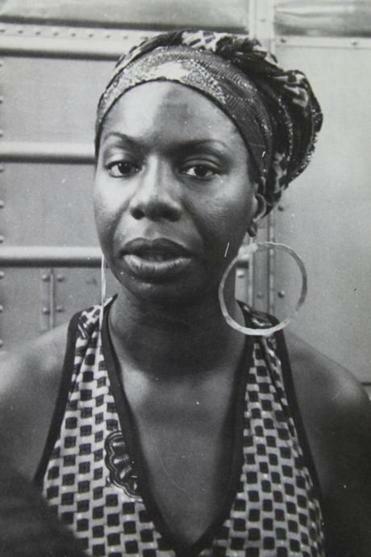 So, in 1954, she started playing piano and singing in nightclubs in Atlantic City, and she changed her name to Nina Simone. In his documentary “The Amazing Nina Simone,” Jeff Lieberman compiles concert footage and more than 50 interviews to chart the rise and fall and rise again of an artist considered one of the greatest musicians of her time. The Emerson Bright Lights series screens “The Amazing Nina Simone” on Tuesday at 7 p.m. at the Bright Family Screening Room in the Paramount Center. A discussion with the director follows, and admission is free. For more information go to web.emerson.edu/brightlights. According to Zapolin, the truth is “a hidden technology in nature” that has been used since ancient times to raise consciousness. Perhaps, he says, it can bring peace to our troubled times. So he goes on a trek with his traveling companion, the actress Michelle Rodriguez (“Avatar,” “Furious 7”), to meet with wise men around the world, people like Ram Dass, Deepak Chopra, and Peter Coyote, to try to track down the secret method. Says Coyote, “If you can’t be happy in this world, you’ll never be happy anywhere.” Sounds like a good start. The film “The Reality of Truth” can be downloaded at www.therealityoftruth.com. A bunch of young kids get together and decide to make a movie. It’s a phenomenon that — thanks to new technology — has become more and more common, allowing fresh new talents a chance to get their dream on the screen. But few start out with the seeming disadvantages of the crew behind “Bulletproof Jackson,” a funky Sergio Leone-esque Western. Michael Barnett’s documentary “Becoming Bulletproof,” a Morgan Spurlock presentation, tells their story. It begins with Zeno Mountain Farm, a community that every year gives motivated youngsters, with and without disabilities, an opportunity to put together a short film, from screenplay to final print. In the process they learn the fine points of filmmaking, such as how to film secretly without permission at restricted locations, how to shoot a prop gun, and how to fall safely on a mattress after getting shot. What we learn is that these are talented kids with the ability to make art if given half a chance, and watching them do so is a lot of fun. “Becoming Bulletproof” is available as digital download, VOD, and DVD from Virgil Film. For more information go to www.becomingbulletproofmovie.com. He starts with the basics – the Paleo diet. Most of what trendy foodies say about it, he contends, is full of what makes the grass grow green (one of his eating rules is “If it’s a plant, eat it. If it’s from a plant, don’t.”). To get the facts he travels to Tanzania to one of the last extant hunter gatherer societies and checks what’s on their menu. Another conundrum – why do French people live so long when they spend so much time eating cheese and drinking wine? Could it be their contempt for fast food? Pollan finds out why. “In Defense of Food” will be available on DVD ($24.99) and Blu-ray ($29.99) from PBS Distribution on Tuesday. For more information go to www.shoppbs.org/product/index.jsp?productId=85258426. If you feel embarrassed about your ignorance about ballet, the program Bolshoi Postmodern: Innovative Performance in HD (March 3-6) at the Museum of Fine Arts might help get you up to speed. It features performances of great operas by the likes of Alban Berg and Dmitri Shostakovich choreographed for the greatest ballet company in the world. Walking you through it all will be Anna Winestein, executive director of the Ballets Russes Arts Initiative, and other ballet professionals. They will be there for post-screening discussions. You might find out you really like it. Opening night features “The Flames of Paris” an adaptation of the opera by Boris Asafyev about the French Revolution. “Les Miz” it’s not (that was set during a different French revolution). A discussion follows with Katerina Novikova, press secretary of the Bolshoi Theater. “The Flames of Paris” screens on Thursday at 6:30 p.m. and on March 6 at 12:30 p.m. at the MFA. For more information go to www.mfa.org/programs/series/bolshoi-postmodern-innovative-performance-in-hd.